Bret Contreras, PhD, MS, CSCS, has become known in the strength and conditioning industry as the Glute Guy because of his expertise in helping clients develop strong, shapely glutes. In 2015 he earned his PhD in sport science from the Auckland University of Technology in New Zealand, where he studied under biomechanics expert John Cronin. Contreras has conducted numerous electromyography experiments in his research. As the former owner of Lifts Studio in Scottsdale, Arizona, Contreras worked closely with hundreds of clients ranging from sedentary people to elite athletes, and he invented a glute-strengthening machine called the Hip Thruster. He currently trains figure competitors, writes programs for clients from all over the world, and consults for various professional sport teams. He is the author of the bestselling book Bodyweight Strength Training Anatomy (Human Kinetics, 2014) and coauthor of Strong Curves (Victory Belt, 2013). Contreras is a distinguished lecturer in strength and conditioning, presenting at many conferences throughout the United States, including those hosted by the National Strength and Conditioning Association (NSCA). He is editor in chief of the NCSA’s Personal Training Quarterly and cofounder of Strength & Conditioning Research Review. He is a peer-reviewed author and regular contributor to well-known industry publications including Men’s Health, Men’s Fitness, Oxygen, and MuscleMag. Oxygen magazine voted him the Glute Expert in their 2010 glutes edition. Contreras maintains the Strength of Evidence Podcast, where he discusses important topics in strength and conditioning. "Bret Contreras is hands down one of the top fitness professionals. 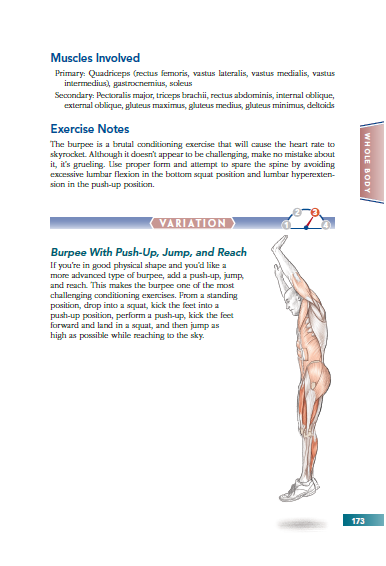 If you want to learn the science and art of bodyweight training, there is no better resource than Bret's book, Bodyweight Strength Training Anatomy." 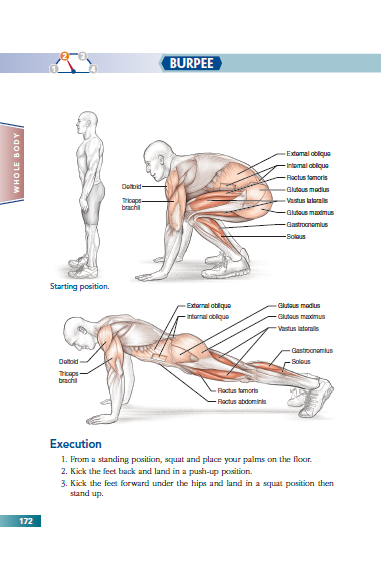 Burpee Burpee cont. 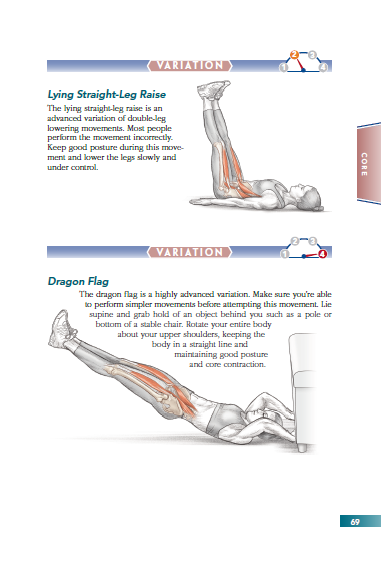 Double-Leg Lowering With Bent Knees Double-Leg Lowering With Bent Knees cont. 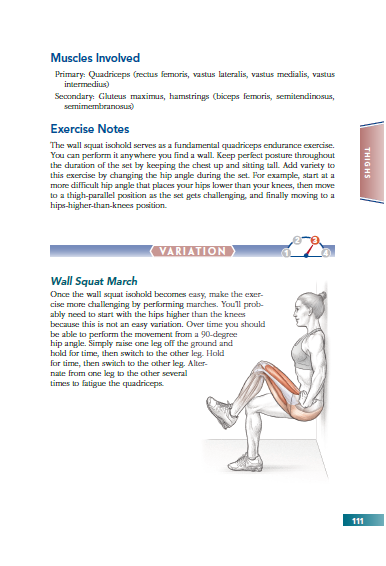 Wall Squat Isohold Wall Squat Isohold cont.